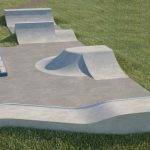 Bridgwater skatepark was desigend and built by Maverick Industries, opening in 2010. It is an all concrete plaza style street park and can be found in Victoria Park. It is set on two different levels with the lower section in the middle, the uppers on either side featuring most of the obstacles. It starts on one side with a kinked bowled edge with a ledge on top that opens up onto hubbas and a toblerone block that lead down to the lower level. Following on from this is a flat bank with stari set and rail inset that leads up to the next upper level that has a bowled edge along one side and flat bank on the other that curves around to line the back. In the back corner is also a small quarter pipe with a perpendicular quarter pipe adjoining it from behind. 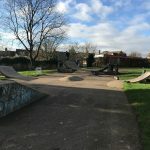 Bridgewater skatepark is a great local spot, especially if you are a street skater. 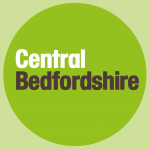 The surfaces are smooth and the obstacles are well laid out making is a great place for beginners to practise the basics or even for more experienced skaters to master the lines, either way get yourself down here and check it out if you are in the area. Bridgwater train station: Exit Bridgwater station onto Wellington Road and follow it around until St Johns Street. Take this road and continue along it until the crossing, cross over onto Eastover and follow the road continuing over the river and taking the first right called West Quay. Follow the road north along the river until Northgate, cross over the bridge and turn right following the river until the roundabout. Cross over the roundabout and exit into Victoria Park where the skatepark can be found. Kendale Road bus stop: Exit the bus onto Kendale Road and take Coleridge Road crossing over into the Victoria Park. 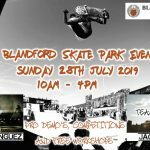 Here is where Bridgwater skatepark can be found.